Hewlett-Packard hopes to bring momentum into the faltering market for large-screen Android tablets with the new Pro Slate 12, which stands out with a rugged 12.3-inch display and its ability to digitize notes from regular paper. The tablet is the company's first with a durable screen based on Corning's Concore Glass technology, which protects the glass from drops on rough surfaces like asphalt. 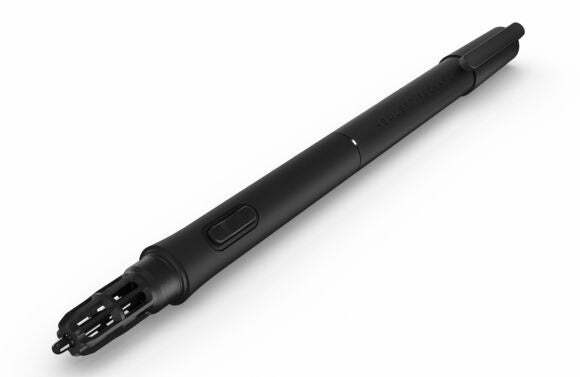 It is also the first with a "Duet Pen" stylus that can be used to take notes on paper and on the tablet. The Pro Slate 12 was one of many ElitePad, Pro Slate and Pro Tablets with Android and Windows OSes announced by HP on Tuesday. Screen sizes of the new tablets range from 8 inches to 12 inches, and are now shipping. HP is getting ready to split its PC and enterprise organizations into two companies. HP is strengthening its consumer and business PC and mobile product lines with different prices, screen sizes and operating systems. The Pro Slate 12, which starts at $569, is a risky product considering that only Android tablets with screen sizes between 7 inches and 10 inches have sold well. But HP needs to boast a complete product lineup, and the tablet will take on Samsung’s Galaxy Note Pro 12.2, which started shipping early last year. The new HP tablet has best-in-class components and a 1600 x 1200-pixel resolution display. It has Qualcomm’s Snapdragon 800 quad-core processor, 32GB of flash storage, 2GB of RAM and the latest 802.11ac Wi-Fi networking. It has a 2-megapixel front facing camera and an 8-megapixel rear-facing camera. Qualcomm’s integrated graphics can render high-definition video. The tablet weighs 850 grams, which is light for a device its size. Other features include a micro-SD slot and a micro-USB 2.0 port. It does not have USB 3.0 or HDMI ports. HP also announced the Pro Slate 8, which has a lot in common with the Pro Slate 12. However, the 7.9-inch tablet sports a higher-resolution 2048 x 1536-pixel screen. The tablet is priced starting at $449. The smaller tablet also supports the HP Duet Pen stylus, which is based on digital pen technology developed by Qualcomm. The paper-based notes taken with the pen can be digitized using HP’s Paper Folio technology. The Duet Pen comes with the tablets, and isn’t sold as a separate accessory. 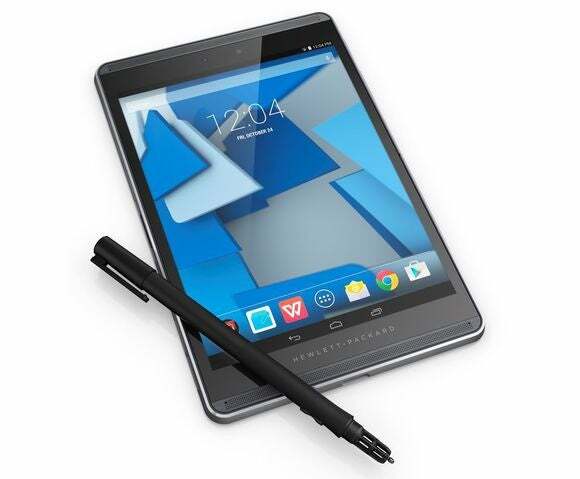 Other tablets announced by HP don’t yet support Duet Pen, possibly because the devices don’t have a Qualcomm chipset. Digital pens are useful for business users who find typing on the tablet inconvenient, and the technology is improving. 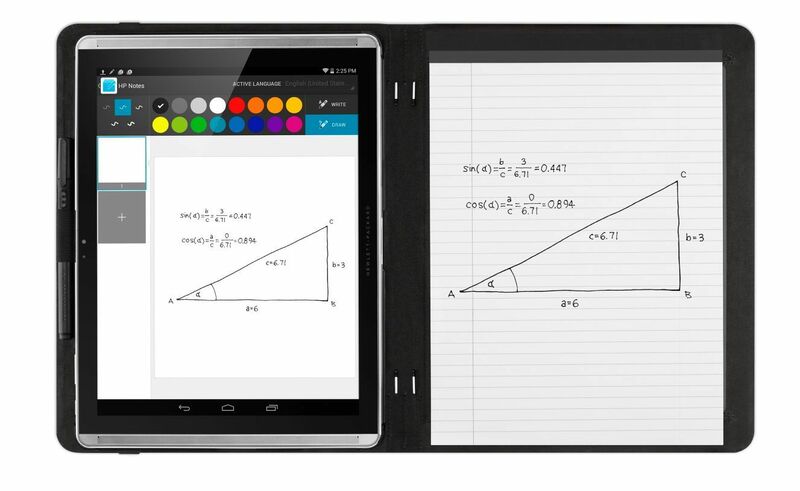 It’s possible to take notes on Lenovo’s recently announced 8-inch Yoga Tablet 2 with a regular pen or pencil. 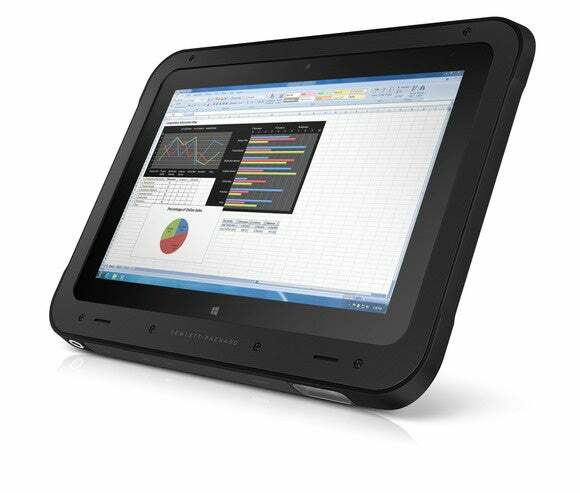 The Pro Slate 10 EE, which has a 10.1-inch diagonal screen, is targeted at schools and has a basic feature set. It has a quad-core Intel Atom chip based on the Bay Trail architecture, and a 2-megapixel front camera and 5-megapixel rear camera. It has only 802.11 b/g/n wireless, but a micro-HDMI port allows the tablet to be connected to external displays. It weighs 855 grams, making it heavier than the Pro Slate 12. The extra weight could be due to extra ports and the heavier motherboard. The tablet starts at $279. Other tablets announced by HP run on Intel chips and have Windows 8.1. The HP ElitePad 1000 G2 Rugged Tablet, which starts at $1,599, has a 10.1-inch screen that can display images at a 1920 x 1200 pixel resolution. It has 128GB of storage, 4GB of DDR3 RAM, a 2.1-megapixel front camera, 8-megapixel rear camera, one HDMI and two USB 3.0 ports. It also has 802.11 b/g/n Wi-Fi and optional 3G/LTE connectivity. Depending on features, the device’s weight starts at 1.45 kilograms. HP is also selling a variant of the tablet for the healthcare market. HP’s 10-inch Pro Tablet 10 EE, which starts at $299 for education customers and $349 in retail, and Pro Tablet 408 G1, which starts at $299, are entry-level tablets for businesses. The tablets have Intel Atom chips, up to 64GB of storage, 802.11 a/b/g/n Wi-Fi, front and rear cameras and micro-USB 2.0 and micro-HDMI ports. Editor's note: This article originally stated that the Pro Slate 12 featured Gorilla Glass 4, not Concore Glass, after receiving erroneous information from Dell. We have updated the article to list the correct display type.